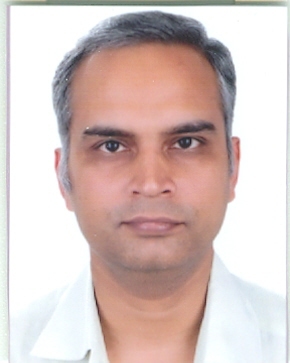 Dr. Manoj Kumar Sharma, additional Professor in Department of Hepatology, has obtained his DM in Gastroenterology from G B Pant Hospital, New Delhi in 2005. After that he worked as Assistant professor in Gastroenterology at G B Pant Hospital till 2008; after which he is at ILBS. He is also the organizing secretary of the upcoming APASL annual meet -2018. Appointed as member of Board of Directors to JGH Foundation. 1. Kumar M, Sarin SK. Liver biopsy in Chronic Hepatitis B Virus infected Patients with Normal ALT. Reply. Gastroenterology. 2008 Nov;135(5):1802-3. PMID: 18848835. IF:12.547. 13. Sarin SK, Kumar M, Hissar S, Sharma BC. Combination of Pegylated Interferon and Lamivudine for patients with chronic hepatitis B who have failed treatment previously. Hepatobiliary Pancreat Dis Int. 2006 Aug;5(3):374-80. PMID: 16911934. 18. Kumar M, Choudhury A, Manglik N, Hissar SS, Rastogi A, Sakhuja P, Sarin SK. Insulin Resistance and its Predictive Factors in Chronic Hepatitis B Virus (CHBV) infection. [Accepted in AJG]..
19. Chauhan R, Kazim SN, Kumar M, Bhattacharjee J, Krishnamoorthy N, Sarin SK. Identification and characterization of Novel A and D Recombinant Genotype of Hepatitis B virus form Indian Chronic HBV Isolates. World J Gastroenterol. 2008 Oct 28;14(40):6228-36. PMID: 18985816. 20. Kumar GT, Kazim SN, Chauhan R, Hissar SS, Kumar M , Beri A, Sukriti, Pati N, Basir SF, Sarin SK. Occult Hepatitis B Virus Infection in Voluntary Blood Donors, Healthcare Workers and Patients with Cryptogenic Liver disease, in India. [ Accepted in JMV]. 21.Kumar GT, Kazim SN, Kumar M, Hissar SS, Chauhan R, Basir SF, Sarin SK. HBV genotypes and HBsAg mutations in family contacts of HBV infected patients with occult HBV infection. [ Accepted in JGH]. 22. Pati NT, Geffers R, Sukriti, Hissar SS, Riese P, Toepfer T, Buer J, Guzman CA, Kumar M, Sarin SK. Gene expression signatures of peripheral CD4+ T cells in acute and chronic hepatitis B virus infection. [Accepted in Hepatology]. 23. Sukriti, Pati NT, Sethi A , Agrawal K, Agrawal K, Kumar GT, Kumar M, Kaanan AT, Sarin SK. Low Levels Of Awareness, Vaccine Coverage And Need For Booster Among Health Care Workers In Tertiary Care Hospitals In India. J Gastroenterol Hepatol. 2008 Aug 28. [Epub ahead of print]. PMID: 18761556. 24. Hissar SS, Kumar M, Tyagi P, Goyal A, Aggarwal SR, Sakhuja P, Sarin SK. Natural history of fibrosis progression in chronic hepatitis C virus infection in India. [Accepted in JGH]. 26. Chauhan R, Sarin SK, Kumar M, Bhattacharjee J. Naturally occurring Core Mutations in e Negative Chronic Hepatitis B Virus infected patients in India. [Under review in J hepatology]. 27. Sukriti , Pati NT, Kumar M, Bose S, Hissar SS, Sarin SK. Impaired Antigen Processing and Presentation Machinery regardless of enhanced IFN-γ in immunotolerant chronic Hepatitis B Virus Infection. [ Under Review]. 28. Sukriti , Pati NT, Pande C, Kumar M, Sarin SK. Early Innate Immune Responses Following HBV Vaccine: A Novel Insight Through Pattern Recognition Receptor Studies. [ Under Review]. 1. Sarin SK, Kumar M. HBV Immunization in adults. [Under review]. 2. Kumar M, Sarin S.K. Pharmacology, Clinical efficacy and Safety of Lamivudine in Chronic Hepatitis B. Expert Review of Gastroenterology and Hepatology 2008;2(4):465-495. 3. Sarin SK, Kumar M. HBV Prevalence, Natural history, and Treatment (including resistance) in India and the United States. [ Under review]. 5. Sarin SK, Kumar M. Should Chronic HBV infected Patients with Normal ALT treated: Debate. Hepatol Int (2008) 2:179–184. 7. Sarin SK, Kumar M, Tyagi P. HBV Carrier or Chronic HBV infection: need for change in terminology. J Gastro Hepatol 2004; 19(suppl): S103-107. 9. Kumar M, Sarin S.K. Chronic Hepatitis B and C: Burning Issues in management. [Accepted for APICON 2009]. 1. Sarin SK, Kumar M. Epidemiology, Screening and Natural history of Chronic HBV Infection. [Under Publication]. 4. Sarin SK, Kumar M. Acute Liver failure: Current management strategies. In Gupta SB Eds. The Association of Physicians of India, Medicine update 2005. pp 448-458. 6. Kumar M, Sarin SK. Chronic hepatitis. In Tandon R, Acharya SK Eds. Clinical Approach to jaundice. Byword Viva Publishers Private Limited, New Delhi,2004;pp 123-164. 7. Sharma BC, Kumar M, Sarin SK. Portal Biliopathy. In Sarin SK, Sharma BC, Kumar M Eds. Post graduate course and current reviews in hepatology: Clinicopathological correlation. CBS Publishers and Distributors, New Delhi, 2004: pp 92-97. 8. Sarin SK, Kumar R, Kumar M. Treatment of chronic Hepatitis B: Current trends and Indian perspectives. In Sarin SK, Singal AK Eds. Hepatitis B in India: Prevention and management. CBS Publishers and Distributors, New Delhi, 2004: pp 447-470. 1. Post graduate course and current reviews in hepatology: Clinicopathological correlation. CBS Publishers and Distributors, New Delhi, 2004. 1. Hissar S, Herrmann E, Kumar M, Ong MF, Sarin SK. Viral Kinetics During Adefovir in Treatment NaÏVe Chronic Hepatitis B (CHB) Patients. Gastroenterology. April 2008 Vol. 134, Issue 4, A-311. 2. Hissar S, Kumar M, Kazim SN, Sathpathy S, Kumar GT, Chouhan R, Singh D, Sakhuja P, Sarin SK. Transmission of hepatitis B virus infection is predominantly perinatal in the Indian subcontinent. Retrovirology 2008, 5(Suppl 1):P2. 3. Chauhan R, Hissar SS, Singh AK, Mishra SK, Kumar M, Sarin SK. Higher Frequency of Selection of Tenofovir Resistant Mutations in Lamivudine exposed compared to Naïve CHBV Patients during Tenofovir antiviral therapy. Hepatology 2008, Volume 48, Issue S1, A 719. 4. Kumar M, Chauhan R, Gupta N, Hissar SS, Sakhuja P, Sarin SK. Spontaneous ALT flares in Asymptomatic HBeAg Negative Chronic Hepatitis B Virus Infected Patients Presenting with Normal ALT. J Gastro Hepatol 2008, Volume 23, Suppl 5:A3. 5. Sharma P, Sharma BC, Tyagi P, Kumar M, Sarin SK.Neuropsychological impairment in severe acute viral hepatitis is due to minimal hepatic encephalopathy. J Gastro Hepatol 2008, Volume 23, Suppl 5:A38. 6. Sukriti, Pati NT, Bose S, Hissar SS, Kumar M, Sakhuja P, Sarin SK. Role of Nuclear Transcription Factor and Antigen Processing, Presentation Machinery in Persistence of Infection in Viral Hepatitis. J Gastro Hepatol 2008, Volume 23, Suppl 5:A39. 7. Kumar M, Sakhuja P, Kumar A, Hissar SS, Manglik N, Choudhary A, Rastogi A, Kumar D, Sarin SK. A Novel Proposal for Histological Sub-Classification oCirrhosis (stage F4) Based on Histological-Hemodynamic Correlation. Hepatology Int 2008 (2); S 407. 8. Sukriti, Pati NT, Kumar M, Hissar SS, Sakhuja P, Sarin SK. Role of Antigen Processing and Presentation Genes in Development of Acute and Chronic Hepatitic Viral Infections. Hepatology Int 2008 (2); S 417. 9. Sharma V, Kumar M, Sarin SK. Cognitive and Behavioural Determinants of Coping to Prepare Psychosocial Support Program for Patients with Chronic Hepatitis B (CHB). Hepatology Int 2008 (2); S 430. 10. Midha V, Sood A, Sood N, Hissar SS, Sarin SK, Kumar M, Malhotra V. Seroprevalence of Hepatitis C Virus in a Community Based Study in North India. Hepatology Int 2008 (2); S 474. 11. Kumar M, Sarin SK, Hissar S, Pande C, Sakhuja P, Sharma BC, Chauhan R, Bose S. Virological And Histological Features Of Chronic Hepatitis B Virus Infected Asymptomatic Patients With Persistently Normal ALT. Hepatology Int 2008 S 410. 12. Bose S, Ramakrishna G, Tripathi A M, Sakhuja P, Kumar GT, Khan LA, Kumar M, Gupta S, Sarin SK. Differential mRNA expression pattern of growth factors and proto-oncogenes in chronic hepatitis B related liver disease and hepatocellular carcinoma. Indian J Gastroenterology. November 2007;26( Suppl 2): A9. 13. Kumar GT, Kazim SN, Chouhan R, Hissar SS, Kumar M, Beri A, Sukriti, Pati TN, Basir SF, Sarin SK. Occult HBV infection in patients with Cryptogenic Liver Disease, Healthy Blood Donors and health Care Workers. Indian J Gastroenterology . November 2007;26( Suppl 2): A75. 14. Chouhan R, Bhattacharya J, Kumar M, Sarin SK. Association of naturally occurring core mutations with hepatitis B e antigen negative chronic hepatitis B patients in India. Indian J Gastroenterology . November 2007;26( Suppl 2): A 74. 15. Sukriti, Pati NT, Sethi A, Agarwal K , Aggarwal K, Kumar GT, Kumar M, Kaanan A T, Sarin SK. Attitudes to HBV vaccination and vaccine coverage among health care workers in north India. Indian J Gastroenterology . November 2007;26( Suppl 2): A72. 16. Kumar M, Kumar A, Hissar SS, Jain P, Rastogi A, Kumar D, Sakhuja P, Sarin SK. Hepatic Vein Pressure Gradient (HVPG) as a predictor of Fibrosis in chronic liver disease due to chronic hepatitis B. Indian J Gastroenterology . November 2007;26( Suppl 2): A 66. 17. Hissar SS, Kumar M, Tyagi P, Goyal A, Aggarwal SR, Sakhuja P, Sarin SK. Natural history of fibrosis progression in chronic hepatitis C virus infection in India. Indian J Gastroenterology November 2007;26( Suppl 2): A4. 18. Kumar M, Pande C, Hissar SS, Chouhan R, Bose S, Sakhuja P, Sharma BC, Sarin SK. Virologiccal and histological features of chronic hepatitis B infected asymptomatic patients with persistently normal ALT. Indian J Gastroenterology . November 2007;26( Suppl 2): A 1. 19. Kumar M, Hissar SS, Barjesh C Sharma, Shiv K Sarin. Spectrum and natural history of Asymptomatic HBeAg negative CHBV infected patients in India. Hep Intl March 2007;1:A 242. 20. Kumar M, Sathpathy S, Monga R, Das K, Hissar S, Pandey C, Sharma BC, Sarin SK. Lamivudine treatment for severe acute hepatitis B-A controlled trial. Am J Gastro sept 2006, vol 101(9);S174. 21. Kumar M, Pande C, Hissar SS, Sarin SK. HBV DNA levels, genotypes and histology in HBeAg negative CHBV infected patients with persistently normal ALT, the inactive carrier. Am J Gastro sept 2006, vol 101(9);S173. 22. Kumar M, Sharma BC, Sarin SK. The etiology of acute exacerbation of previously unrecognized asymptomatic patients with hepatitis B virus related chronic liver disease. Indian J Gastroenterology 2006;25( Suppl 2)November:A60. 23. Manglik N, Kumar M, Tyagi P, Sakhuja P, Sharma BC, Sarin SK. Histological and virological features of hepatitis C virus infected patients with persistently normal ALT levels. Indian J Gastroenterology 2006;25( Suppl 2)November:A63. 24. Gollapudi TK, Kazim SN, Kumar M, Hissar SS, Ranjit, Sarin S.K. Spectrum of hepatitis B virus surface gene mutations and viral genotypes in patients with occult HBV infection in India. Indian J Gastroenterology 2006;25( Suppl 2)November:A65. 25. Kumar M, Hissar SS, Pande C, Sarin SK. High Prevalence of Liver injury in patients with Chronic Hepatitis B virus infection in HbeAg positive subjects with normal ALT. Hepatology Oct 2006; 44(no 1) suppl 1:A676. 26. Kumar M , Kumar R, Hissar SS, Pandey C, Saraswat M K, Sharma B C, Sakhuja P, Sarin S K. Risk Factor Analysis For Hepatocellular Carcinoma In HCC Patients With And Without Cirrhosis: A Case-Control Study of 213 HCC Patients From India. J Gastro Hepatol 2006 April ; 21(Suppl, 2 ): A190. 27. Midha V, Sood A, Hissar SS, Sood N, Kumar M, Sarin SK. Effectiveness of varied dose of pegylated interferon and ribavirin combination therapy in patients with chronic hepatitis C. J Gastro Hepatol 2006 March; 21(Suppl): A13. 28. Manoj Kumar, SK Sarin, A Sood, A Arora etal. Is Lowering HBV DNA Levels By Initial Antiviral Therapy Before Adding Immunomodulator A Viable Strategy For Treatment Of Chronic Hepatitis B? J Gastro Hepatol 2006 March ; 21(Suppl): A22. 29. Hissar S, Kumar M, Goyal A, Pande C, Suneetha P, Sood A, Sakhuja P, Malhotra V, Sarin SK. Prevalence of hepatitis C virus genotypes in India: Correlation with histopathological severity of liver disease and hepatic steatosis. J Gastro Hepatol 2005 Nov ; 20(Suppl): A229. 30. Sarin SK, Kumar M, Garg S, Hissar SS, Sharma BC. High dose Vitamin K Therapy in Advanced Hepatocellular Carcinoma with Portal Vein Thrombosis. Indian J Gastroenterology 2005 Nov ;24( Suppl 1):A65. 31. Hissar SS, Kumar M, Sharma BC, Shukla DC, Sarin SK. Higher reduction in HBV DNA levels with combination of Lamivudine and Pegylated interferon compared to Lamivudine alone in patients with chronic hepatitis B. J Gastro Hepatol 2004 Nov ; 19(suppl): A867. 32. Sarin SK, Kumar M, Kumar R, Kazim SN, Guptan RC, Sakhuja P, Sharma BC. Higher efficacy of sequential therapy with Interferon alfa and Lamivudine combination compared to Lamivudine monotherapy in HBeAg positive Chronic Hepatitis B patients: a controlled trial. J Gastro Hepatol 2004 Nov ; 19(suppl): A693. 33. Kumar M, Jain S, Sharma BC, Sarin SK. Predicting the course of patients first presenting clinically with features of acute icteric hepatitis B in an endemic zone. Ind J Gastroent 2004 Nov ; 23(suppl): A7. 34. Kumar M, Jain S, Sharma BC, Sarin SK. Differentiating acute viral hepatitis B from first episode of reactivation of chronic hepatitis B. The American Journal of Gastroenterology, Volume 98, Issue 9, Supplement 1, September 2003:S93.